Used Mazda CX-3 Review - 2016-present | What Car? 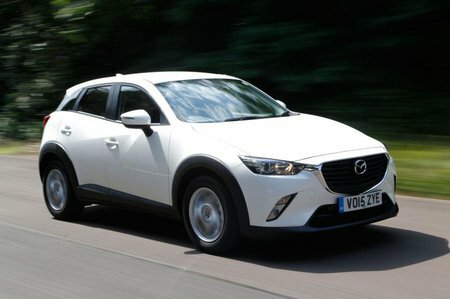 What's the used Mazda CX-3 hatchback like? It’s rare to find a car in the small SUV class that’s both smart and engaging, but the Mazda CX-3 seems to pull it off. For starters, its mature design manages to be stylish without trying too hard to be fashionable. And on top of that, potential purchasers would be right to hope that this car is imbued with just enough of Mazda’s sporty DNA to make it satisfying to drive. Underneath, it’s basically a Mazda 2, a likeable if entirely conventional front-wheel drive small hatchback. However, the CX-3 has a 40mm higher ride height and tweaked suspension and steering to compensate for that increase. This class is alive with a whole host of similar rivals, ranging from the Kia Soul to the Renault Captur, and it’s one that’s enjoyed an extraordinary period of popularity. The CX-3 offers the choice of three engines – two petrols and one diesel. The petrols are both 2.0-litre units, with one pumping out 118bhp and the other 148bhp, while the diesel is a 104bhp 1.5-litre unit. The more powerful petrol model is available only with four-wheel drive. There are three trim levels: SE Nav, SE-L Nav and Sport Nav. Entry-level SE Nav models come with a decent amount of kit, including air conditioning, a DAB radio, Bluetooth, cruise control and a 7.0in touchscreen infotainment system with sat-nav. Mid-range SE-L Nav builds on that list with the likes of climate control, heated seats and rear parking sensors. Sport Nav models are expensive, even used, but get cosmetic tweaks, such as bigger wheels and silver trim accents, as well as part-leatherette trim and a premium Bose sound system. The lower-powered petrol engine pushes the CX-3 around with reasonable verve. It’s an eager unit that likes to be revved, giving it an old-fashioned, sporty feel. It can be a little coarse, however. The more powerful petrol engine is a little hampered by being available only with four-wheel drive, and it never feels any quicker than the less powerful version anyway. The diesel engine has plenty of low-end shove, but it isn’t particularly eager or refined. The manual gearbox that is standard on all versions is slick and smooth, and the optional automatic 'box works well, too. Approach a corner and you might wonder if your hopes for some sporty Mazda DNA had been misplaced. The CX-3 corners well enough, but its steering is inconsistently weighted and there’s plenty of roll and pitch from the car's body. On top of that, the handling is rather sloppy, especially through quicker corners, and the car seems to be a little short of balance. It rides in a similar fashion, feeling rather underdamped as it deals with bumps and ridges. 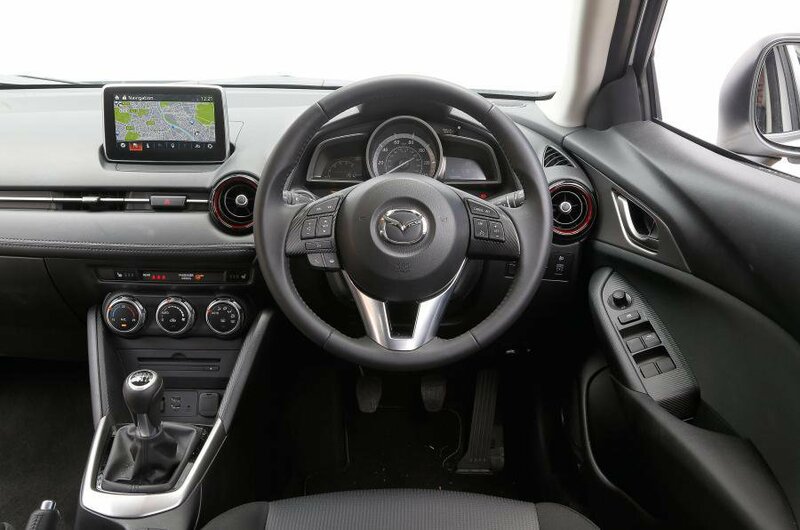 Inside is a comfortable and supportive driving position, with a decent range of seat and wheel adjustment. Rear visibility is a little limited by the rear window pillars, though. The controls are all logically placed, with rotary heating controls and a handily placed infotainment controller just behind the gearlever. The infotainment system itself is slick and has clear display. Space up front is reasonable, but rear room is distinctly measly, with three abreast a real squeeze and leg room very poor behind a 6ft-tall driver. The boot is of a reasonable size, but there are rivals that do better.